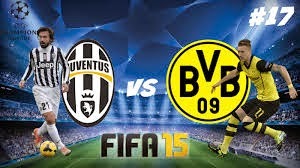 The Champions League is here again, and Juventus will host and face the German club Borussia Dortmund. Probably the best game to watch this week, teams that are in very different mindsets at the moment. Borrusia fighting for their life in the Bundesliga, trying not to get relegated which might lead them to make changes in this game but i don't think so, as German clubs always want to win and play to win. Juve is having a great season really good one, almost champion's in Italy with this week results! I believe the game will end with 3 - 1 or 2 - 2, so i think we should get over 2.5 fairly easy in this game.